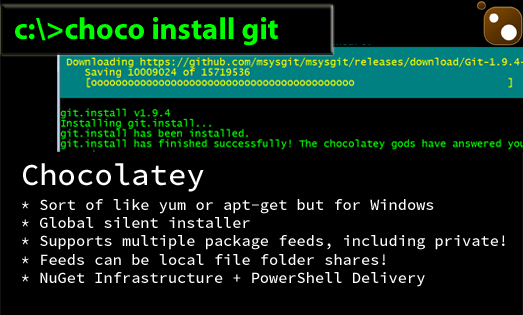 Chocolatey brings the power of Linux’s package manager to Windows, letting you download and install applications from the command prompt. Either that means nothing to you or you’ve already clicked the link because you couldn’t contain your excitement. I reinstalled Windows yesterday and used this to quickly get my applications back. If Chocolatey Gallery has an application I want, I open command prompt as administrator (Windows Logo cmd Ctrl+Shift+Enter) and run choco install and the application name. With no further input, Chocolatey downloads and installs the package, avoiding unwanted add-ons. You can add dozens of applications in one choco install command and it installs them all one-by-one. To update everything, just do cup all.